Once there was a very fierce cat. Not just fierce: well fierce, totally, terrifyingly, stupendously fierce. Everyone was afraid of this cat. 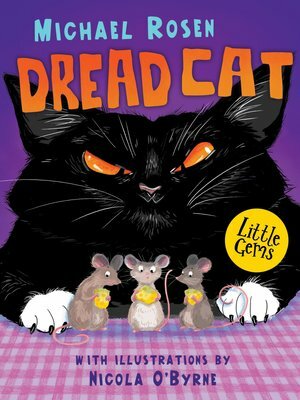 Her name was Dread and everyone dreaded Dread Cat. But then Dread Cat started to run out of luck catching mice. She hadn't caught any for ages. So she announced that she was giving up chasing mice and promised to never again kill another mouse. The war was over. But was it really?